First off the block, the state has become a superhero on the world’s IRONMAN calendar, stepping onto the podium to host next month’s Cairns Airport IRONMAN Asia-Pacific Championship as part of the Cairns Airport Adventure Festival (5-13 June), in a three-year deal to 2018. 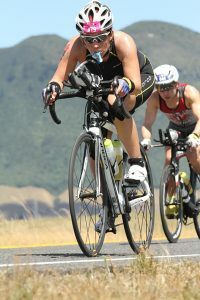 Hailed by organisers as home to one of the ‘most picturesque’ courses in the global IRONMAN suite – also including the IRONMAN 70.3 Cairns – one in five of more than 3,500 competitors are making the journey from overseas, led by Japan, New Zealand, Singapore, the United States, China and Hong Kong. A total of 42 countries will be represented at the event. By contrast, in 2015, Cairns Airport IRONMAN Cairns and IRONMAN 70.3 Cairns (staged in the region since 2011), drew just over 3000 competitors, with six per cent of participants from overseas. Of little surprise, the win-win opportunity of competing in, on and around one of the world’s greatest natural wonders ranks high among their reasons for taking up the challenge. A destination like no other, where two World Heritage-listed icons meet – namely the Great Barrier Reef and Wet Tropics rainforest (including the awe-inspiring jungles of the Daintree). Among them is Angela Montijo, 34, from the US, returning from ‘IRONMAN retirement’ (having crossed finish lines in New Zealand and Barcelona), lured by the opportunity to add the Great Barrier Reef to a travel bucket list with partner and coach, John Rotella, a six-time IRONMAN finisher. “Right now I can only imagine the breathtaking beauty of Cairns, but soon I will be traveling on roads and in waters that most people only ever see on television or in their wildest dreams,” says Angela, an engineer for a medical device company in San Diego. “It is exciting to know that I will be there competing with some of the best endurance athletes in the world in one of the most beautiful places on the planet. 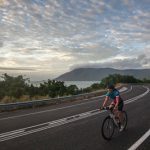 The Cairns Airport IRONMAN Asia-Pacific Championship Cairns (3.8km swim, 180km bike and 42.2km run) and the half-distance IRONMAN 70.3 Cairns mark the grand finale to a diverse, week-long program of events during the Cairns Airport Adventure Festival. Every year, the festival also offers the unique opportunity to dive into the real-life set of Finding Nemo via the Quicksilver Reef Swim off Green Island, one of the Great Barrier Reef’s coral cays. Other events include the white-knuckle RRR (Rural, Rainforest and Reef) Mountain Bike Challenge, which hurtles through lush rainforest behind Port Douglas, ending on world-famous Four Mile Beach; the Coral Coast Triathlon; Hekili Great Barrier Reef Ocean Challenge; The Cairns Post Bright Night Run; Coral Coast Triathlon; and McDonalds IRONKIDS Cairns Triathlon for the sportiest of tots. 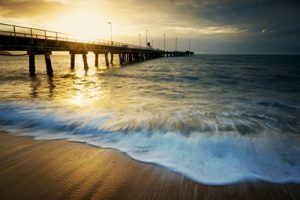 While Tropical North Queensland boasts the IRONMAN Asia-Pacific Championship, the Sunshine Coast’s Mooloolaba Beach is flexing its muscle to welcome the IRONMAN 70.3 World Championship on 4 September 2016. A global spotlight will also be cast on the Gold Coast during the 38th Gold Coast Airport Marathon (2-3 July). Pitted as Australia’s premier road race, renowned for one of the world’s fastest, flattest courses, hugging Gold Coast surf beaches and broadwater, it is the first marathon in Australia to hold an International Association of Athletics Federations (IAAF) Road Race Gold Label. This puts it in esteemed company of the ilk of marathons in New York, Boston, London, Tokyo, Berlin and Chicago. A landmark agreement has this year been signed with leading Chinese sports media company, Sina Sports, to promote the event, including travel packages and a dedicated Chinese broadcast via its media channels and running clubs. Sina Sports is the number one sports marketing and media conglomerate in China, attracting a daily 15 million web users and 26 million mobile users. 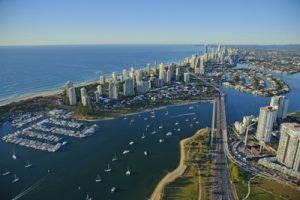 Separately, leading Chinese lifestyle brand, Shape Your Life, targeting active wear for ‘modern, independent women’ and attracting eight million followers, recently launched a ‘Run to the Gold Coast’ campaign, selecting three winners from a pool of 100 to run the Gold Coast Airport Marathon. The event, which does not close registration until 1 July, is already tracking towards record international figures, with close to 1,000 athletes already signing up from Greater China, including China, Taiwan and Hong Kong. Competitors from Southeast Asia – notably from Singapore, Malaysia and Indonesia – are also registering en masse, with numbers on track to exceed last year’s record of over 530 from this region. Last year more than 3,000 international athletes (from 57 countries) travelled to the event. Among the international contingent already registered is Jamie Pang, from Kuala Lumpur, who manages IT Risk and Control in a financial institution, and has been running marathons since the age of 15, initially ‘on a dare from his father’, now clocking up around 30 marathons across the globe. Jamie ranks the Gold Coast Airport Marathon as his favourite. This year marks his sixth year straight on the course, which he credits for enabling him to finally dip below the four-hour mark in 2014. 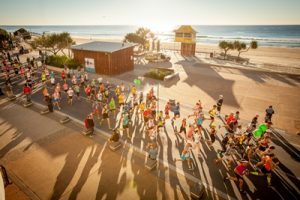 The Gold Coast Airport Marathon – organised by Events Management Queensland, owned by the Queensland Government as part of Tourism and Events Queensland – attracts over 27,000 athletes. It also includes the Wheelchair Marathon, ASICS Half Marathon, Wheelchair 15km, Southern Cross University 10km Run, Suncorp Bank 5.7km Challenge, and Junior Dash 4km and 2km races. Don’t miss the action: Queensland is home to Australia’s best live events in the best destinations, as showcased in more than 116 events on Tourism and Events Queensland’s It’s Live! In Queensland calendar. Visit www.queensland.com/events to discover all the action.